The wonderful and highly reliable SanDisk Ultra 32GB microSDHC card complete with adapter is being offered right now for just $7.28. If you have a device which could benefit from some additional storage, now is the time to act. It is probably fair to suggest that most of us have a multitude of devices in our possession that could benefit from increased storage. This could be because we have chosen to purchase an Android smartphone or tablet with an extremely low internal capacity in order to save money, or just because whatever device we have purchased simply doesn’t come with onboard storage and relies on products of this nature. 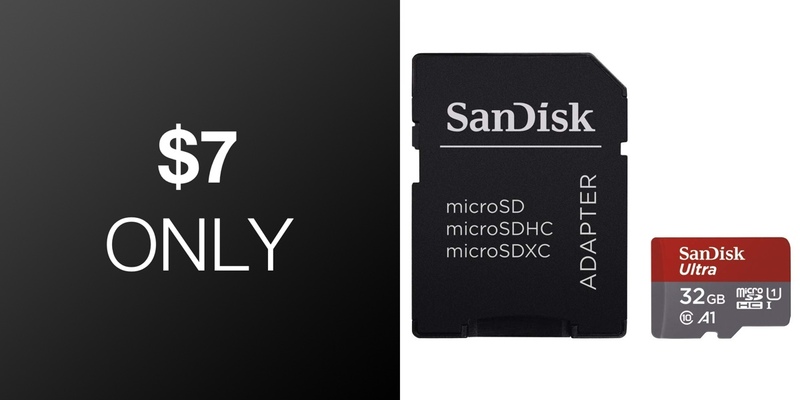 That is where companies like SanDisk step into the picture by offering world-class, industry-leading, and highly reputable external memory which can be plugged into devices which support this type of accessory. 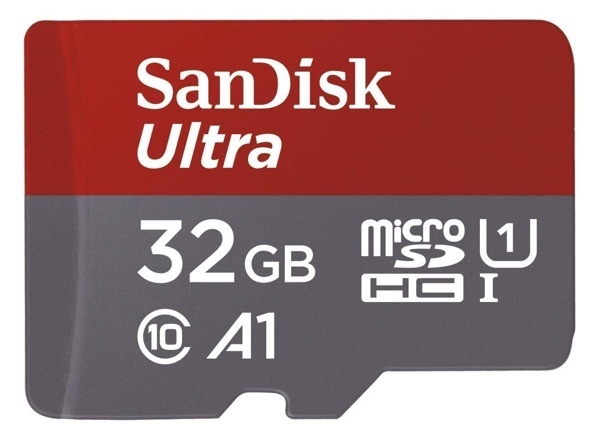 This particular SanDisk offering is the company’s Ultra-branded memory card complete with a decent 32GB of storage capacity. It offers transfer read speeds of up to 98MB/s and is designed with A1 rated performance to give you the best possible experience. After all, if you are regularly transferring up to 32GB of data to and from devices, you definitely want to do it as quickly as physically possible. Of course, there is also some reliance on the host device in order to get the best possible experience. The card is also built with the long-term in mind, and, as such, offers protection against drops, water, X-rays, temperature, and many other environmental conditions which could potentially bring about the end of life for a technology of this nature. There is definitely a reason why SanDisk is a world leader with this type of accessory. The company also offers a 10-year limited warranty when this card is purchased so you can be safe in the knowledge that your purchase is protected to some degree. If you have an Android device, a digital camera, or even something like a wondrous flying 4K-compatible drone, and you need to expand the internal storage with something capable and reliable, then this is the deal for you.